It doesn’t get easier than this. Just because a dessert is simple to make and uses just a handful of ingredients doesn’t mean it isn’t wonderful. 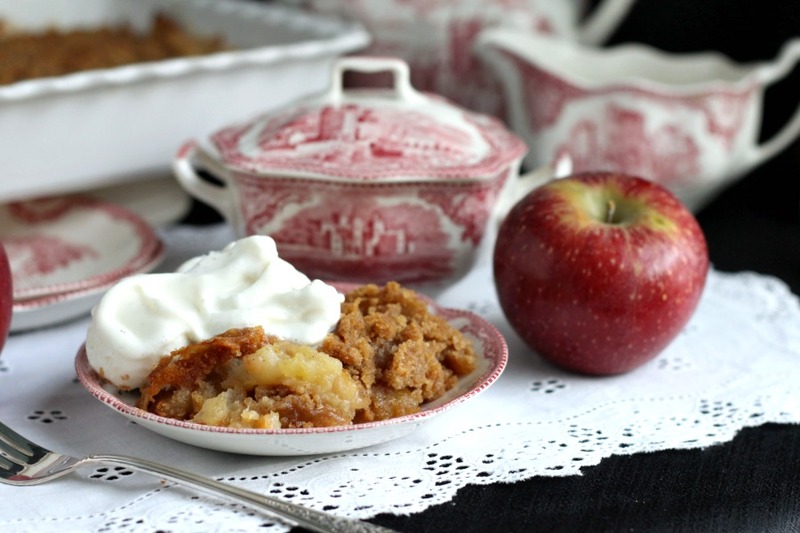 Classic apple crisp is full of tender apples with a topping of buttery brown sugar and cinnamon. Old-fashioned goodness in every bite! 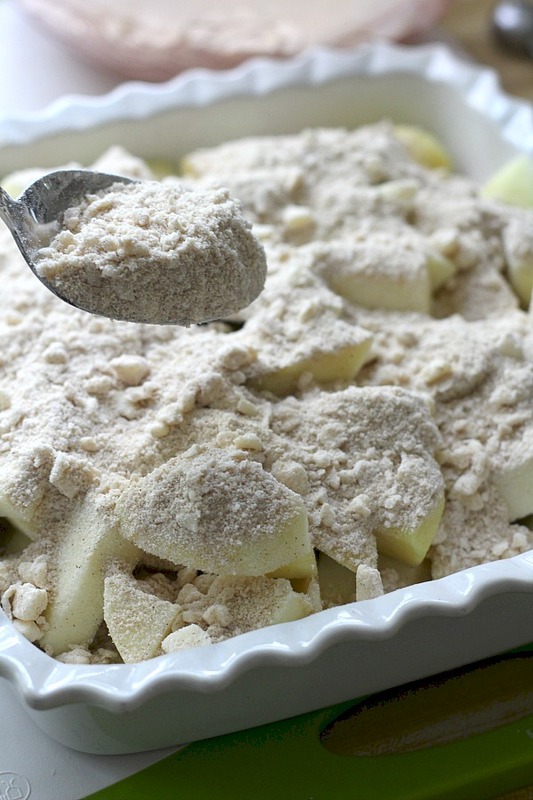 Add the prepared apples to a baking dish. Spoon on the topping mixture and bake. 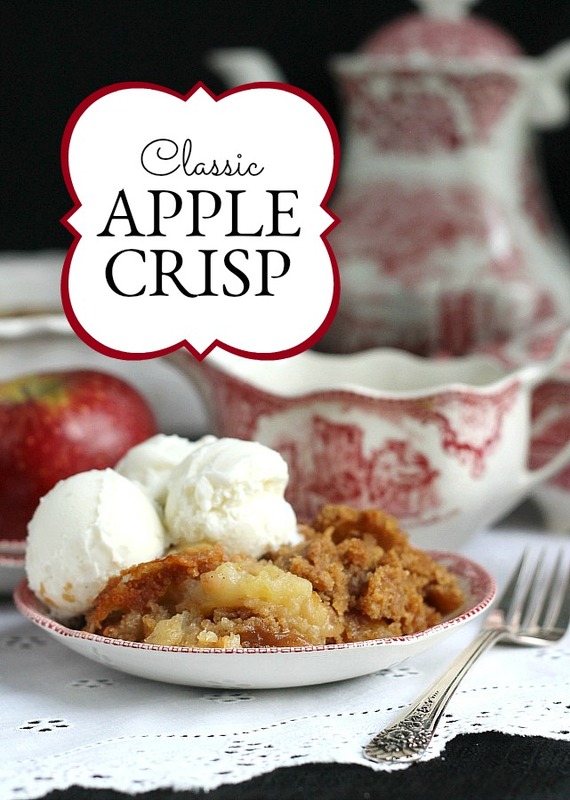 Serve classic apple crisp warm or room temperature with a scoop of vanilla ice cream or whipped cream, if desired. 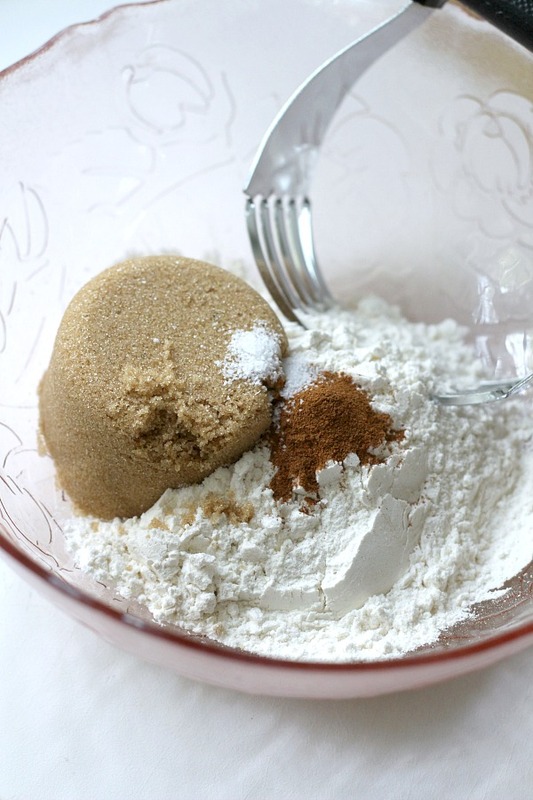 Combine the flour, brown sugar, cinnamon and salt in a medium-size bowl. Using a pastry blender or whisk, toss until blended. 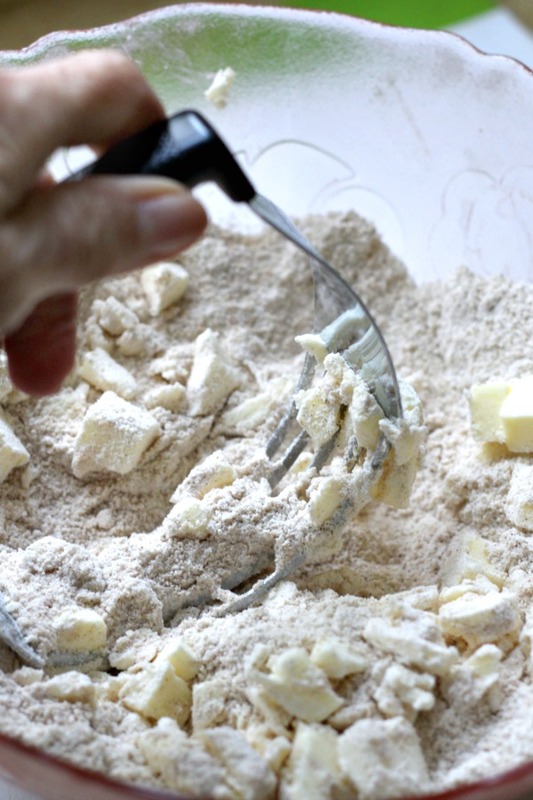 Add, butter and cut in using the pastry blender until the mixture resembles coarse crumbs. Set aside. 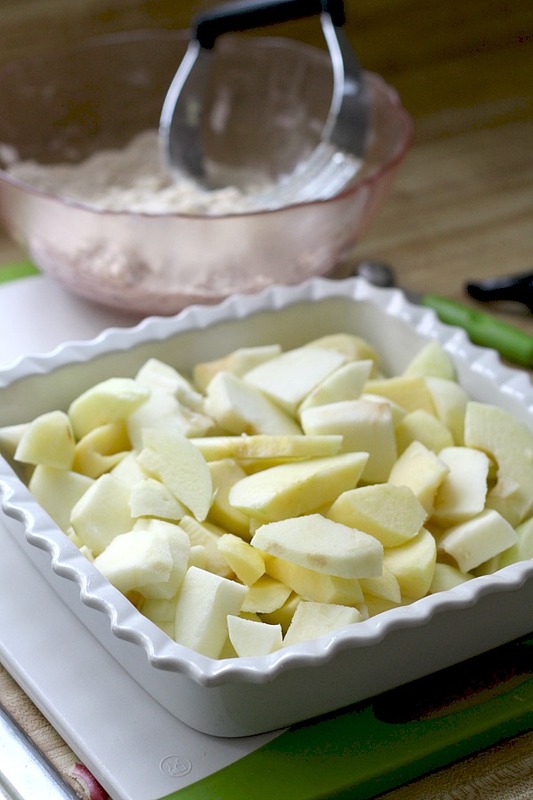 Fill a 8-inch by 8-inch square baking dish with the apples. Spoon the topping mixture evenly on top of the apples. Do not press down. 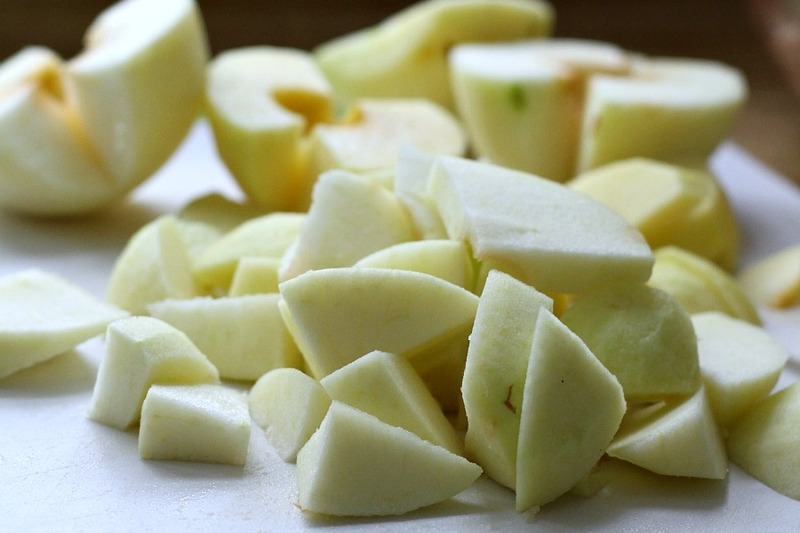 Bake about 50 minutes, until the topping is browned, the apples are tender and the juices are bubbly. Remove from oven and let cook 10-15 minutes before serving. FREE gift for subscribers! 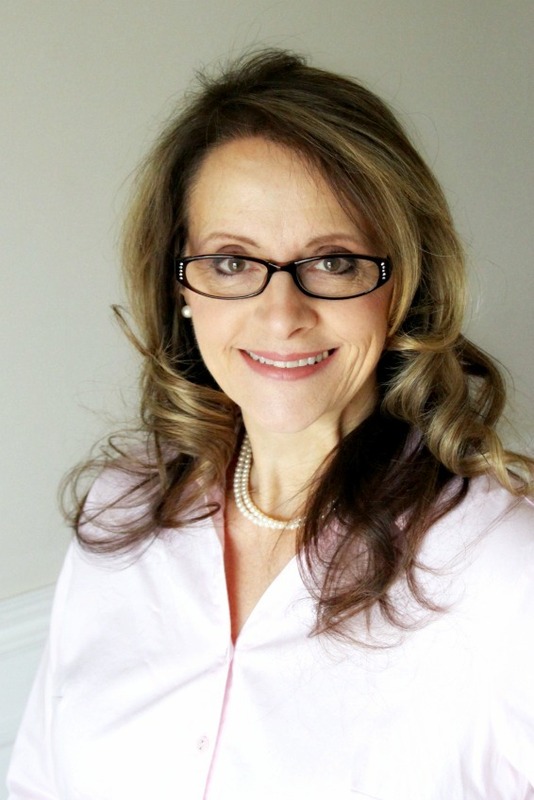 Don’t miss new recipes, DIY, crafts and ideas to inspire and encourage you. Join our community and receive updates by clicking the subscribe button below. We’d love to have you be a part 🙂 Don’t forget to choose and download your FREE subscriber thank you gift! Wonderful…have made it several times. My husband loves it!! 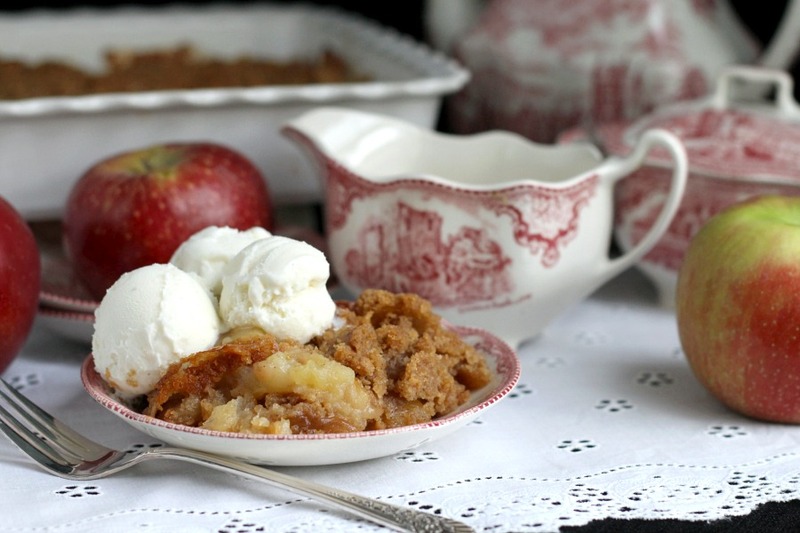 So happy to hear you have enjoyed this classic apple crisp. Thanks so much for sending your comment! Well, of course, now I am CRAVING apple crisp. I love that AND rhubarb crisp. 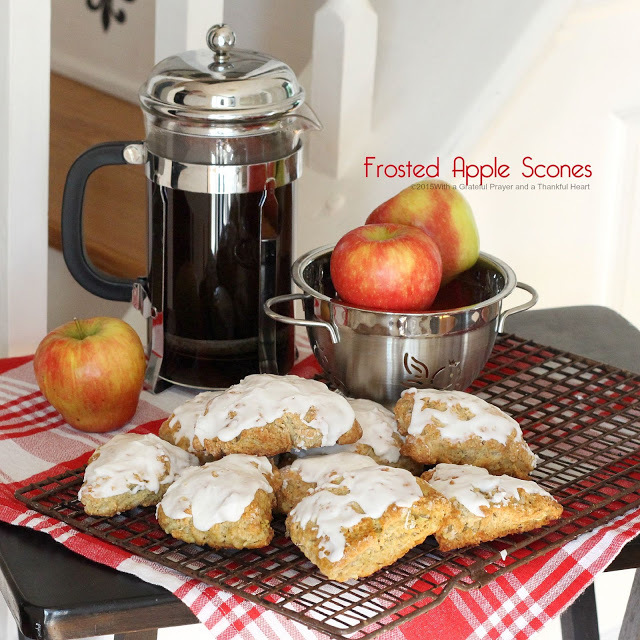 I love the way a baking apple crisp perfumes the house!